"I just knew she was the perfect person for me," Starr Shelton said. Though the gay nightclub massacre occurred in Orlando, Florida, the grief spread far and wide, including to San Francisco, 2,500 miles away. 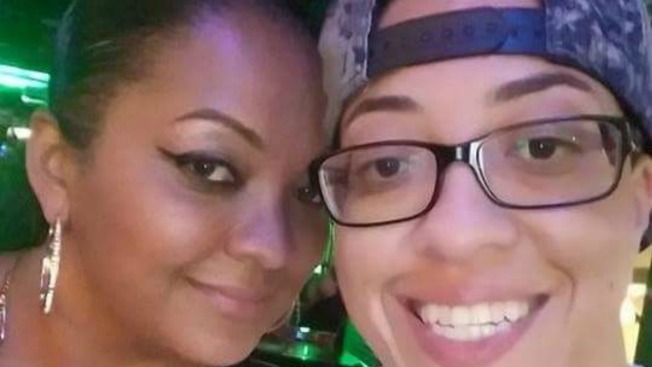 Starr Shelton, of San Francisco, said her ex-partner, 37-year old Kimberly "KJ" Morris, was a bouncer at Pulse Nightclub in Orlando and one of the 49 victims who died during Sunday's mass shooting. The Torrington, Connecticut native had started working at the club just two weeks ago. The two first met in Boston in 2014, but parted ways when Shelton moved to San Francisco to work on a master’s degree. It was Morris' smile that first captured Shelton's heart. "I just knew she was the perfect person for me," Shelton said. Shelton said Morris recently moved back to Orlando to take care of her 85-year-old mother. Despite the distance, Shelton said they had still talked every day, including the night of the shooting. Hours before Morris was killed, she sent her "best friend" a text. "I said 'I miss you' and her last words back were 'I miss you too,' " Shelton said. She doesn't exactly know what happened Sunday night, but she can certainly guess: "I know in her her last moments, she would have helped people. She's never been a coward, she's never run away from anything." Shelton plans to fly out to Orlando for the funeral services for Morris. "I want people to know she's a wonderful person," Shelton said. "A great spirit bringing joy to everyone around her."